Graphics card, also known under the abbreviation GFX. A Graphics card is the component in your PC that, so to speak, calculates the image that is shown on your monitor. On a GFX there is a central processing unit, called a GPU (Graphics Processing Unit) which handles all graphic related calculations. 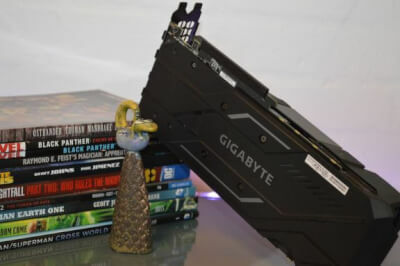 There are two main ways to acquire a graphics card, either as seperate plug-in cards which are plugged directly into the motherboard or alternatively “on-chip” solutions (APU), where it is integrated into the CPU, such AMD’s Ryzen 2200G. The new APU solutions can often be used for games on minimal graphic settings, with a somewhat satisfactory result. 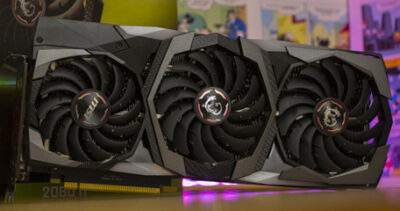 If you want to play with super high frames rates and graphical details cranked up to ultra, then you will want to invest heavily in a dedicated graphics card. Some newer GFX even support SLI or CrossFire, where you can match two graphics cards to achieve even better performance. However, remember that two cards, does not mean double performance. Like a CPU, a GFX can be overclocked and thus can benefit from water cooling. There are not that many different manufacturers of graphics cards for PCs. When looking at integrated solutions it is more or less only AMD and Intel, and continuing on to dedicated GFXs, it is heavily dominated by Nvidia and AMD (after buying ATi). 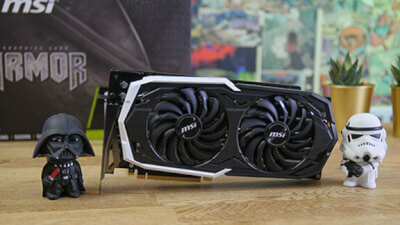 There are quite a lot of things to consider when acquiring a new graphics card. That is why we, at Tweak Reviews, have implemented a series of filters, which hopefully can help you down the road of choosing the perfect match between what you need and the GFX you are looking at. 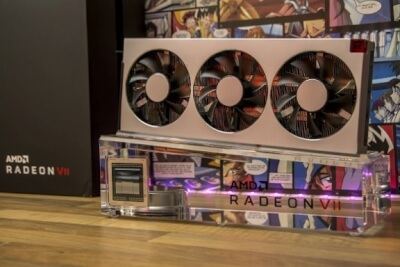 Remember that there are also AIB manufacturers who make amped up versions of the original cards from AMD or Nvidia. If you want to view all the graphics cards we have tested over the years, you should not pick a filter and thus form a great overview. Do you, however, wish to see something specific, you could choose Zotac, AMD or Nvidia under brands. In the brands dropdown, choose and click on Nvidia. The other filters work much in the same way. Should you only wish to see Zotac cards that score a 4 or above, just go ahead and select these values. You can even apply price filters, allowing you to only be shown GFXs with a price below $429. If you are ever in doubt what different things mean on our website, you can follow the little how-to buttons. That will lead you to our dedicated area, where we try to explain as much as possible about graphics cards - ie. how to attain the maximum performance. 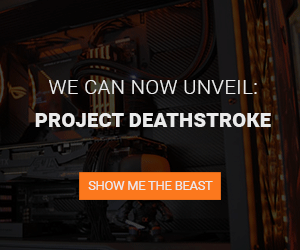 In our GFX test section you will be able to find all the tests of graphics cards, that we have done over the years. Remember, we always review products based on our own subjective findings and experiences with the product. That is also why we guarantee untainted stories of how a product performs. 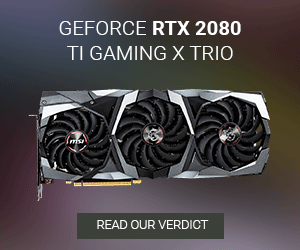 The news button is meant for when you have an interest in reading the latest news about graphics cards. It might be very relevant, if you want to form an overview of new products coming soon, or just recent trends and developments.